Champaign, Ill., April 27, 2018 – A major effort to remove farm data reporting barriers related to sustainability is being undertaken by The Sustainability Consortium (TSC) with members that include Agrible, Inc.
Champaign, ILL, Apr 24, 2018 - Documenting 4R nutrient application practices for environmental and regulatory purposes is about to get much easier for agricultural retailers in Illinois. 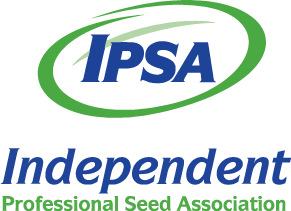 The program is being developed by a partnership between the Illinois Fertilizer and Chemical Association (IFCA) and Champaign-based Agrible, Inc. Once implemented, the program will capture and document the metrics of all nutrient applications made to meet 4R practices, including the right source, right rate, right time to apply and the right placement. With a myriad of different technologies, apps, and devices available, the ag industry is constantly looking for easy access to quick, one-stop-shop connections or locations to perform all functions for their operation.The good news is that we can give your agricultural community the insights, services, and connections it needs to make decisions easy and sustainable, and your operations seamless. 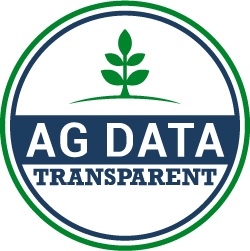 At Agrible, our passion for the ag industry is deeply rooted in helping our customers bridge together parts of this larger agricultural community through our platform. Not only is this connection important to us, it’s something we continue to do well. Real-time agronomy is the most efficient and profitable approach to growing sustainable crops on the farm. Our platform marries the latest sustainability metrics with predictive analytics and real-time agronomy into products and service recommendations. In addition, our early alert systems for nutrient and disease management helps in this larger commitment to ensure the global sustainability of agriculture. These real-time insights empower you to make real-time sustainable decisions. It’s no secret that we have several growers and agronomists on staff. Why? 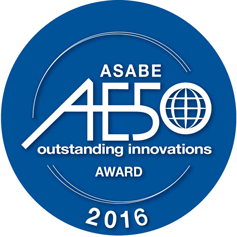 Because, doing so enables Agrible to remain on the forefront of ag technology. Agriculture is at the heart of what we do, so it’s important that we’re providing you with cutting-edge software that simplifies your job. We work in an industry that requires instant access to information, and one of our top priorities is connecting our customers to the information and insights they need. With Agrible, you will enjoy seamless communication with your customers to schedule and complete full agronomic services. Looking to drive action sales digitally? Our two-way customer interaction and messaging system can help with that. Cultivating customer relationships is the foundation of making a solid business investment. Our suite of services is here to help you build those relationships, enhance future recommendations and services, and ultimately, help you protect your customers’ investment. With Agrible, all agronomic services are scheduled, processed, and displayed for you and your customers, so you can easily review their cost of production and returns on investments for the products and services you are recommending. Looking for the insight to decide? Visit our Ag Retailer Product Page to join our evolution of agriculture. For every visitor of our booth that offered feedback, we gave a donation to Rantoul High School FFA in their honor. Champaign, Ill., January 24, 2018- Bringing sustainability to scale and shaping the future of farming requires collaboration across the supply chain, starting with growers and their trusted partners. Growers rely heavily on their local retailer advisors for recommendations and services that will drive productivity, profitability, and eco-efficiencies on the farm. Agrible’s retailer services makes the collaboration easy and efficient by connecting the agricultural community through next-generation technology and real-time agronomy to help solve some of agriculture’s biggest sustainability challenges. By using the tools and services available on Agrible’s platform where a grower knows their yields and nutrient requirements from planting to harvest, a new way of completing sustainability assessments and understanding a grower’s agronomy is possible—this is real-time agronomy and sustainability. Real-time agronomy is the most efficient and profitable approach to growing crops on the farm. This technology provides a new view, never available before, to growers and their trusted partners. Integrating the latest sustainability metrics and predictive analytics into products and service recommendations and early alert systems for nutrient and disease management helps in this larger commitment to ensure the global sustainability of agriculture. 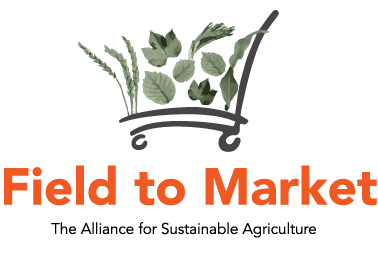 The Field to Market Fieldprint® Platform metrics are currently integrated into Agrible’s platform to help the food and agricultural supply chain benchmark sustainability performance, catalyze continuous improvement, and enable supply chain sustainability claims. Agrible has sustainably sourced 50 million bushels of grain with their platform, and is fast approaching 1 million acres. To further support sustainability on a global scale, Agrible is now a member of Cool Farm Alliance, and is completing sustainability campaigns globally. 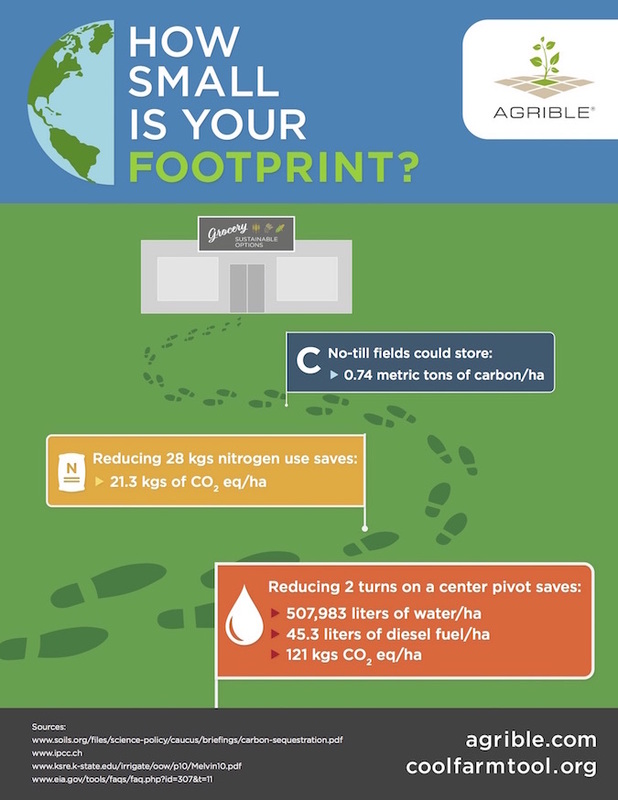 Agrible continues to provide insights for real-time sustainable decision-making to help build the future of agriculture. Agrible’s mission is to analyze and provide agronomic information using science and technology to transform results into globally useful knowledge. We give all agricultural communities the insights, services, and connections to make their decisions easy and sustainable and their operations seamless. Connecting parts of this larger agricultural community to each other through our platform is important to us and is something we do. Join us in our evolution of agriculture.™ Learn more at www.agrible.com. Champaign, Ill., January 19, 2018– Agrible, Inc. today announced that Chris Harbourt has decided to step down as its Chief Executive Officer. Chris is one of 8 co-founders of Agrible and has been with the company since its formation. Chris played a key role in growing Agrible to its enviable market position today as a leading provider of agricultural predictive analytics with a suite of tools serving growers, retailers, processors and food companies. Agrible’s Morning Farm Report currently has over 12 thousand users and over 8 million acres enrolled on it for tracking and predicting productivity, sustainability, nutrient availability, pest potential, and other field-specific features. Dennis E. Beard, a current Board member, will serve as Interim CEO of Agrible. Mr. Beard has more than three decades of business experience and has held C-level positions in various technology and service companies in the past. He is currently a Managing Partner with Serra Ventures, which led the initial seed round of funding for Agrible. Additionally, the Board has promoted David Stanko, formerly CFO at Agrible, as its new President and Chief Operating Officer. “From a business growth perspective, these are very exciting times for Agrible,” said Dennis. “The Board is deeply grateful to Chris Harbourt for his dedication and service to Agrible." Chris said, “I have decided to move on to pursue other passions in agriculture, investing, teaching, and business. I will continue to support Agrible and look forward to Agrible’s next phase of growth."